We’re Now Accepting Submissions for The 10th Muse | The Pinnacle P.O.V. 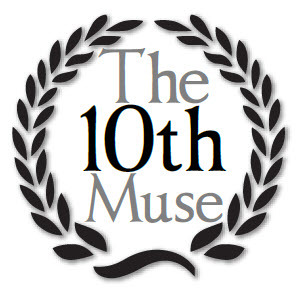 The 10th Muse Literary Magazine (formerly known as the Pinnacle Periodical) has had great success in its last four issues, and we hope to begin compiling student and staff submissions for the Fall 2011 issue right away. If you would like to see your work published, we encourage you to submit any artwork, poetry, or short stories to kboomer@innovat-ed.com. Teachers may also submit work on their student’s behalf. This work can come from class work or outside of the curriculum, but must be school appropriate. Students and staff are welcome to submit as much as they would like, along with the appropriate media release form before October 30, 2011. If work is chosen for The 10th Muse, students will be informed via email. We hope to coordinate the issue’s publication with winter graduation, if not sooner! Our spring issue was great, and I hope to receive even more submissions this time around, especially from STAFF! If site lab managers get the message out to their students, it would be much appreciated. Online instructors can also mail the links to old issues students as desired. We will have a flyer to print/send in the near future. Thank you in advance for your help in finding our budding artists! If you would like to look at the another issue for the type of content we’re looking for, feel free to read the Pinnacle Periodical Winter 2010 Issue. ~ by pinnaclepov2224 on August 22, 2011.